A commonly overlooked piece of the diesel engine system, filters are something that need to be at their best to ensure your engine runs flawlessly every day. Diesel fuel can become contaminated by your system as it ages, requiring proper filtering to ensure your engine receives the pure fuel it needs to avoid issues. 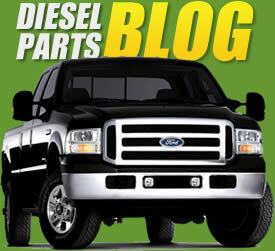 In addition, the byproducts of a diesel engine can be tough on the environment, and keeping your air filter up to date is necessary to keep your vehicle at a tolerant level. We have diesel fuel filters,oil filters and air filters that will help you keep your vehicle at its best. Find the parts you need for your system quickly and easily with our great selection! We have fuel,air,oil filters for a variety of engines, including the Ford Powerstroke, Chevrolet Duramax, and Dodge & Ram Cummins. All of our products are constructed with the highest quality materials and superior technology that will keep water and contaminants from traveling through your fuel system. Diesel fuel filters and diesel oil filters are built to OEM specifications and beyond, providing the quality performance you need for the intense pressure of modern day fuel systems. Whatever engine you have in your vehicle, find an appropriate replacement of air filters,fuel filters,oil filters and ensure your system runs clean every day. This will prevent the slow degradation of your engine over time and extend its lifespan significantly. When it comes to knowing how often to change out this essential element of a high-functioning vehicle, Ford Motor Company has some useful guidelines to keep in mind. Ford Recommended Schedule: 7.3L oil 3,000 miles, Fuel 15,000 miles, 6.0L oil 5000 miles or 200 hours, fuel 10,000 miles or 400 hours, 6.4L oil 5,000 miles or 200 hours, Fuel 10,000 miles or 400 hours, 6.7L Oil 7500 miles, Fuel 15,000 miles or 600 hours. These are the special service intervals recommended by Ford Motor Company. Whether you are performing a fresh install of a new system or simply repairing and updating your vehicle, you can find the air filters and parts you need to get the job done without issue. We have diesel fuel filter test kits, filter caps, housing, and more, so you can ensure your entire system works like new with ease. We also have a variety of diesel oil filters and test kits for your convenience. There is no reason to suffer the slow buildup of contaminants on your system that will cause degradation and loss of performance or eventual damage to your engine. Replacing the filters in your vehicle can be accomplished in minutes with our high-quality parts. This is a aluminum oil filter cap. Great looks and increased durability make this a great replacement for the original plastic cap. This is a great looking USA Made solid billet aluminum oil fill cap for Ford Powerstroke applications. More durable and far less prone to cracking than the OEM plastic cap, it is a stylish addition to your engine bay and will match the TamerX billet aluminum fuel filter caps (SK975A, SK975AU) and oil filter caps (SK976A, SK976AU) nicely. This is a replacement drain plug for a Ford Powerstroke 6.0L Diesel HFCM (Horizontal Fuel Conditioning Module). This is a solid brass plug that will not corrode. This plug comes with a high quality Viton O-ring. MotorCraft Fuel Filter Part # FD4596 Features and Benefits â€¢ AquablocÂ® filter media â€¢ Fits Ford 7.3L E, F, and Powerstroke engines from 1987 to 2003. â€¢ Meets and exceeds OEM performance requirements. MotorCraft Fuel Filter Part # FD4595 Features and Benefits â€¢ AquablocÂ® filter media â€¢ Fits Ford 7.3L E, F, and Powerstroke engines from 1987 to 2003. â€¢ Meets and exceeds OEM performance requirements.